The next step in the quest to remain a democratic state is to beg the governor who once argued against much less drastic lame duck legislation to veto the lame duck legislation he probably helped to write. Several good letters have been produced (a couple of communications are quoted below), and it's probably the next logical step in the play by the rules system we might have once inhabited. I am fearful of this attempt to restrict the will of the people. I believe that by signing these bills you are not representing the people and your signature to these bills will tarnish your adminstration. This assault on our democracy is totally against everything I have ever been taught. We must learn from our past. The last few years have shown that the national Republican leadership no longer represents the will of the people. I urge you to use your power and influence to protect the rights of the people. This morning I called Governor Walker's office. I suggested he veto the legislation limiting Evers and Kaul. I suggested that if he is running for Ron Johnson's seat that voters I used the word they in reference to the voters) probably would not vote for him if he signs the bill. But, as a Bush 43 advisor once told journalist Ron Suskind, "People like you are still living in what we call the reality-based community. You believe that solutions emerge from your judicious study of discernible reality. That's not the way the world really works anymore. We're an empire now, and when we act, we create our own reality. And while you are studying that reality—judiciously, as you will—we'll act again, creating other new realities, which you can study too, and that's how things will sort out. We're history's actors, and you, all of you, will be left to just study what we do." The new reality for Republican legislators seems to be, if we want it*, we will do it. Period. Not is it legal? Not is it bipartisan? Not does it make (scientific) sense? Not is it good for Wisconsin families or the future of our state or country (or the planet)? The recent revelation by Rex Tillerson that Donald Trump would often have a tantrum when told he couldn't get what he wanted is a perfect example. It only takes a few seconds to find many others. If they want it, they will do it. *"It" usually involves money, usually moving as much public money as possible to crony contributors or changing or ignoring laws that protect the environment, public resources, clean air and water, or vulnerable communities if those laws reduce the amount of money crony contributors can charge or take by exploiting those protected groups and resources. Often it also includes punishing or making life more difficult for those who are of a different party, faith, color, gender, economic class, status, and/or ability, like Wisconsin Republicans' obsession with forcing people who are ill, poor, disabled or otherwise disadvantaged to "work" for basic healthcare or food assistance (no matter that a majority of the targets are already working or are children). 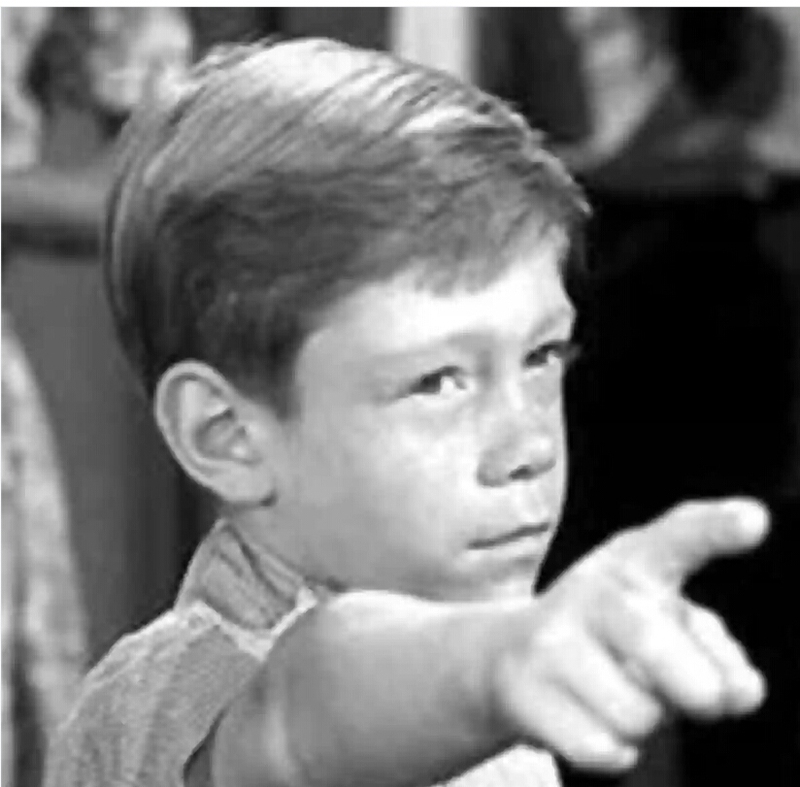 This is why I am skeptical about begging the Billy Mumy character from the Twilight Zone's "It's A Good Life" not to send us to the cornfield. It's a new reality. So, I'm with Kevin. As he wrote in his letter to the editor, "This fits every definition of a coup. Therefore we should ignore these changes, and Gov. Tony Evers and Attorney General Josh Kaul should govern as though these bills were not passed." After you write your letter to Scott Walker, contact governor-elect Tony Evers urging him to move ahead on the things people voted for when they elected him in November.